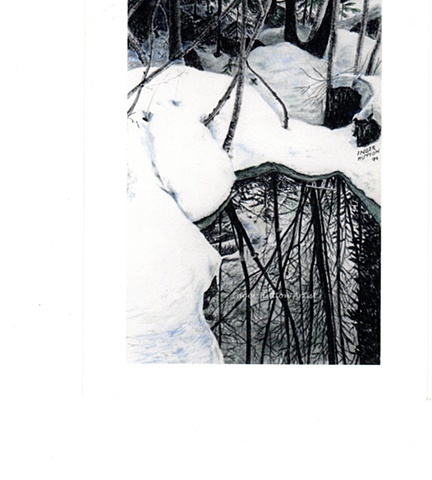 Colored pencil drawing reflecting the tall trees in the melted water in Spring at Whistler, BC. Just a few cards remain. Blank inside.